For many people, the term "biodiversity" has inadvertently become synonymous with species diversity. However, scientists now understand that biodiversity encompasses more than just the number of species in a region. 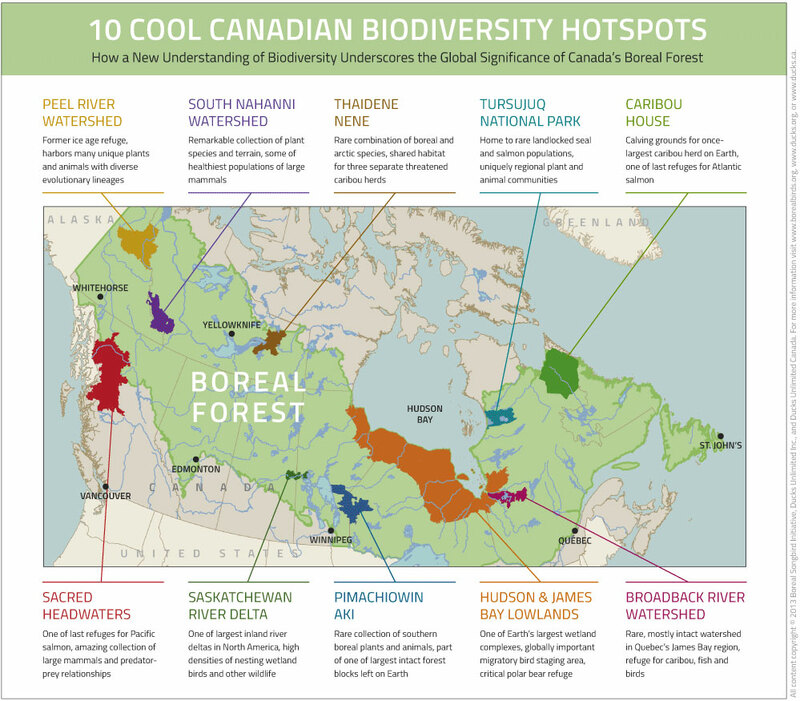 Previous models and mapping efforts have been overly focused on species diversity. This approach inherently favors warmer, tropical forests, which contain higher numbers of species packed into relatively smaller areas. 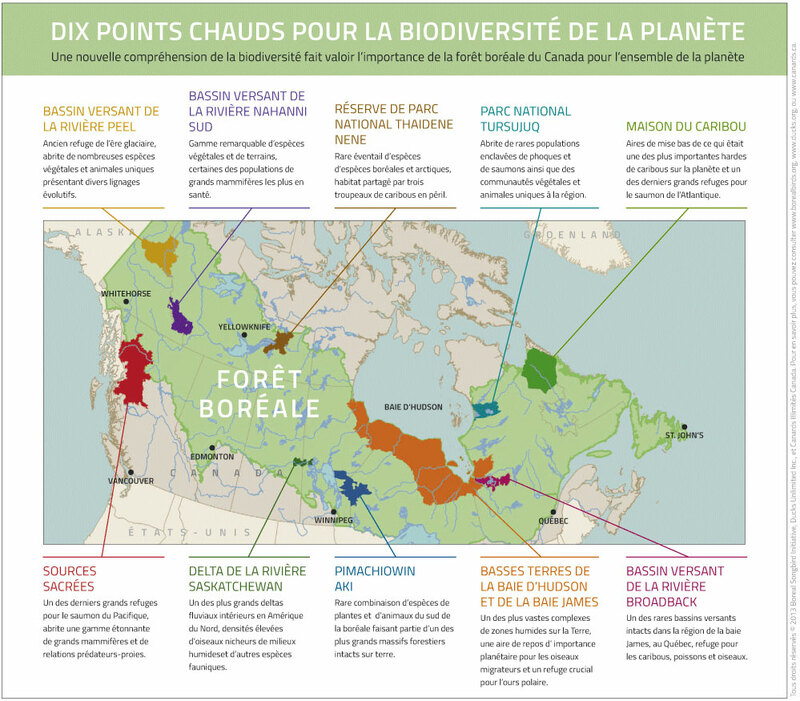 Through understanding a more comprehensive definition of "biodiversity," we see that forests such as Canada's boreal forest gain substantial prominence—even more so when including broader conservation values such as the mitigation of climate change. 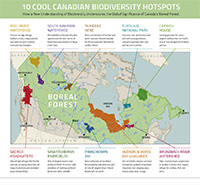 In this bulletin we highlight ten locations across Canada's boreal forest that provide more detail and insight into its special biodiversity and conservation values. 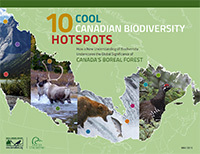 We also discuss some of the threats facing biodiversity in the region and showcase some of the groundbreaking conservation successes that have been achieved, particularly those led by Aboriginal peoples and governments.